Coach Joe Walker presents a comprehensive distance running and cross country training program applicable to runners at any level! The program provides specific routines for developing the complete distance runner without over training. Among the topics covered are: warm up routines, the diagonal run, hill training, interval training, circuit training and the principles of distance training. This DVD is a valuable resource for coaches and athletes looking to gain the edge over the competition. 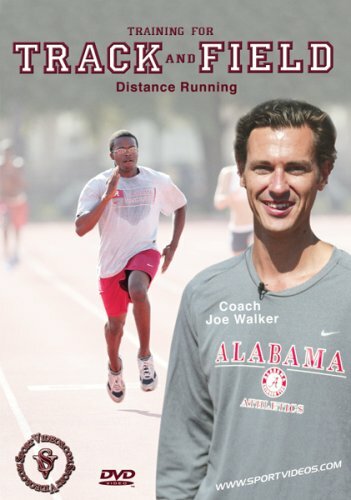 About the Coach: University of Alabama assistant mens track and field coach Joe Walker has brought the Tide distance program to national prominence. He has coached three SEC Male Athletes of the Year, 10 SEC Champions, three NCAA Cross Country Regional Champions, three National Champions and nine All-Americans.